A new blood test has been developed which can predict Down’s syndrome without resorting to these invasive techniques. It involves analyzing the mother’s blood to find the differences in her DNA and the DNA of the fetus. 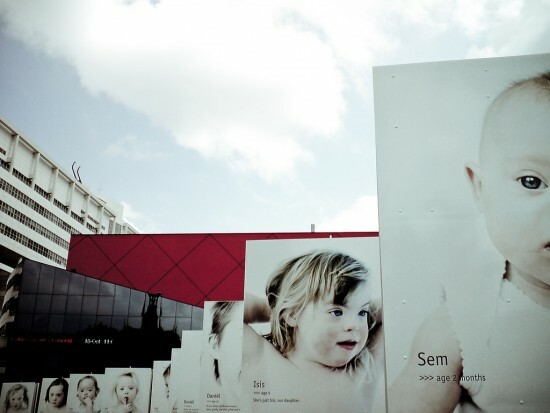 The extra 21st chromosome leads to cognitive delays, learning disabilities, low muscle tone and certain characteristic facial features of Down’s syndrome. There may be some heart defects, gastro intestinal problems, underactive thyroid, early onset Alzheimer’s disease and eye defects like cataract. Down’s syndrome is the most common cause of cognitive delays and is found in 1 out of 700 live births all over the world. With the increase in the maternal age, the likelihood of having a child affected with Down’s syndrome increases considerably. A woman who is 40 years old at the time of conceiving a child is at a 16 times greater risk of giving birth to a baby affected with Down’s syndrome, as compared to a woman who conceives at the age of 25. Although the risk of having a baby with Down’s syndrome is related to the maternal age and family history, screening tests for the condition have been recommended for all women, irrespective of their age, by the American College of Obstetricians and Gynecologists. During the first trimester of pregnancy, an increased levels of ‘pregnancy associated plasma protein’ and ‘human chorionic gonadotrophin’ in the maternal blood indicate some form of chromosomal defect in the growing fetus. However, they are non specific. An increased level of ‘alpha fetoprotein’ during the second trimester of pregnancy may indicate Down’s syndrome and the patient has to undergo invasive tests like ‘Chorionic villus sampling (CVS)’ or ‘amniocentesis’ to confirm the diagnosis. Both these tests involve taking samples from the placenta or the amniotic fluid. This can lead to infection, leakage of amniotic fluid and even the risk of miscarriage in about 1 to 2% of the patients. However, a new blood test has been developed which can predict Down’s syndrome without resorting to these invasive techniques. It involves analyzing the mother’s blood to find the differences in her DNA and the DNA of the fetus. In a recent trial involving 40 pregnant women, this test was able to accurately predict the risk of Down’s syndrome in the growing fetuses. The test studied the difference in the methylation patterns of the DNA to predict the condition. The new test involves the sampling of the mother’s blood in between the 11th and 13th week of her pregnancy and then studying the DNA to find whether the fetus is carrying an extra copy of the chromosome 21. It considerably decreases the risk of miscarriage or other problems associated with amniocentesis and chorionic villus sampling and holds great promise for the future. How accurate are the results of chorionic villus sampling? When is chorionic villus sampling done?